Apple has completed its second major international rollout for iTunes Match since its U.S. launch in November. The service is now available in Argentina, Bolivia, Chile, Colombia, Costa Rica, Dominican Republic, Ecuador, El Salvador, Estonia, Guatemala, Honduras, Latvia, Lithuania, Nicaragua, Panama, Paraguay, Peru, and Venezuela. Apple has been moving fast considering most of these countries only gained access to the iTunes Music Store back in December. The launch means Apple's music locker is now available in 37 countries around the world, after an initial expansion that included only Brazil followed by mostly European countries. The $25-a-year subscription service scans your entire music library and compares it against some 20 million songs in Apple's database so that any matches -- even if ripped from CDs or acquired illegally -- will become available for download onto your Apple devices as high quality 256kbps AAC files. Songs not found in Apple's catalog will be uploaded to your digital locker. 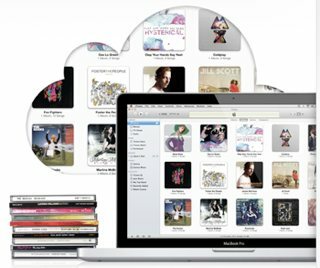 Apple's iTunes Match is integrated with the iCloud platform, which taps into the cloud to synchronize files, content, and apps between Apple devices. Although iCloud doesn't technically "stream" music to you on demand, it uses a simultaneous listen and download approach to create the same effect. You can clear music you've downloaded at any time if you want to free up space and re-download later. The service includes a 25,000 song limit, although iTunes Store purchases don't count towards the total. A full list detailing iTunes Match and other Apple services availability by country can be found here.